The specimen exhibited here, 60.5 mm in height, was obtained from the proprietor of a shell shop in Port Louis, Mauritius by shell-barter on November 15, 1973. The shell had been brought back from Cargados Carajos, a remote dependency 500 km north by east of this capital city by a fisherman who periodically made the crossing along the shallow waters of the Mascarene ridge. He reported finding it on the shore of Coco Island at the south end of the atoll. end of the atoll. Vasum crosseanum had received little notice in the conchological literature since its original description. Its locality was surmised “Mauritius or Madagascar” (Souverbie, 1875). Abbott (1959) said of this species: “There has been no further information of this evidently rare species since it was first described by Souverbie ...” Dance (1971) wrote “only two mature specimens having been recorded so far.” To support his point, he illustrated a specimen from the National Museum of Wales which was clearly not the same shell as the iconotype (Abbott, 1959). Unfortunately for me, Mr. Vic Chakowa, the man in possession of what was presumably the third specimen, had done his homework. He had read Dance’s (paperback) work thoroughly a few weeks before our encounter. He knew what he had in his cabinet! Timing is everything! Indeed; I had just packed a suitcase full of my own little East African discovery, Strombus oldi Emerson, 1965, an icon of nearly equivalent éclat, at the time known only from beach specimens. I unveiled a couple of these live-taken Somali beauties, and negotiations began. I think the process took less than an hour, but a crowd had already gathered when agreement was reached. Two for one! 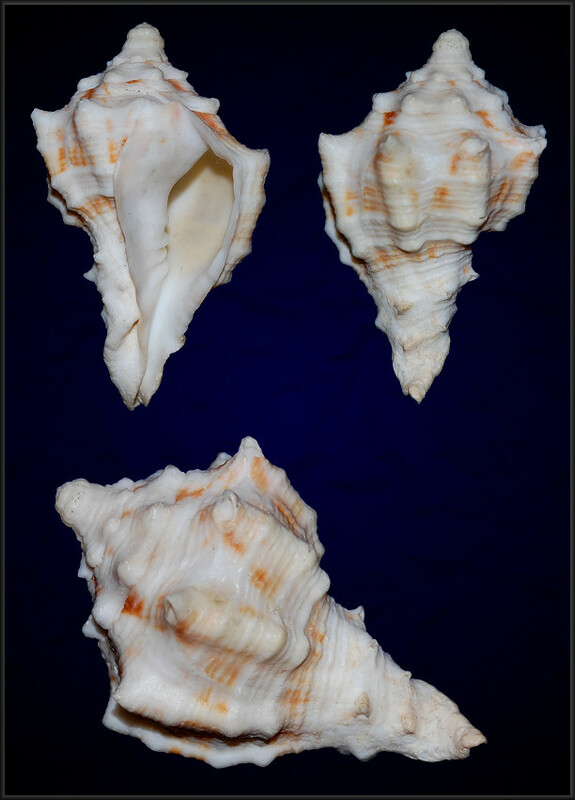 Mr. Chakowa got two conchs and I one vase. We parted friends and feeling pretty smug - as all transactions should conclude - each of us leaving the table completely convinced he received the better end of the deal! Since that day I have seen no evidence of any more of this species. History has taught us that conchological rarity is ephemeral, but, heck; carpe diem, as they say. It might be claimed that over three decades of possession of an object of unsurpassed rarity may be the equivalent (or better!) of the proverbial fifteen minutes of fame. Dance, S. P., 1971. Seashells. Hamlyn, London pp. 1-159.